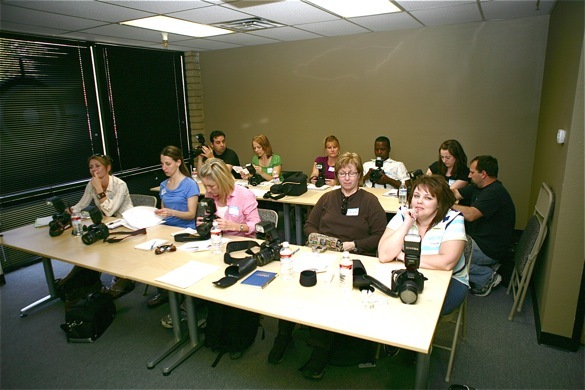 This 8 week workshop is the much requested follow up class to our Digital Photography 101 workshop. In Beyond the Basics you’ll build on the knowledge you have and learn how to use Adobe Lightroom to manage your post-production workflow, you’ll be introduced to new storytelling techniques, you’ll join your classmates on four location shoots, learn about the zone system and advanced metering techniques. Beyond the Basics is being co-taught by Mark and Diane Wallace. Because half of the workshop will be taught on location we wanted to insure that every student had plenty of time with the instructors. We are limiting the class to 10 students to make sure everyone gets plenty of personal attention. illumine 2009 – we still have space for you! I’m excited to announce that I’ll be hosting two workshops in New York City next month. I’ll be teaching my Studio Lighting 101 workshop and introducing a new workshop called Creative Strategy. The new Creative Strategy workshop is all about proven methods to foster creativity in individuals and groups. It’s based on methods that I’ve used for over 20 years to produce events, productions, workshops and art. 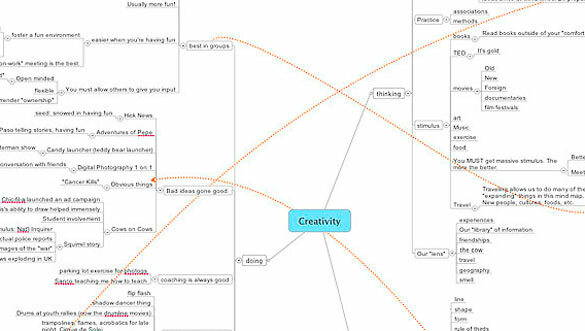 I’ll show students practical ways to create new ideas, use their computers for capturing and producing those ideas, and how train your brain to be more creative. 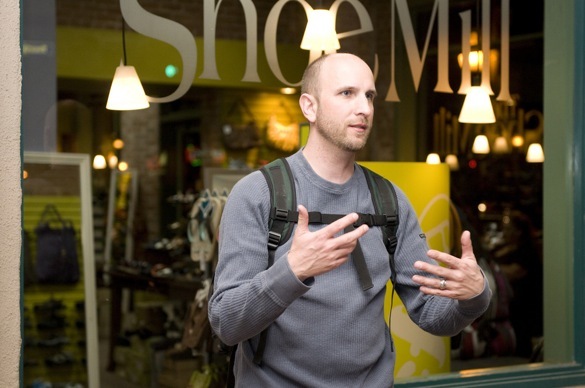 Click here for more information about the Creative Strategy workshop. Studio Lighting 101 is a full-day event. Expect to learn the fundamentals of portrait studio lighting and what it takes to get professional results. The class will include plenty of hands-on exercises that will allow you to learn from practical experience. 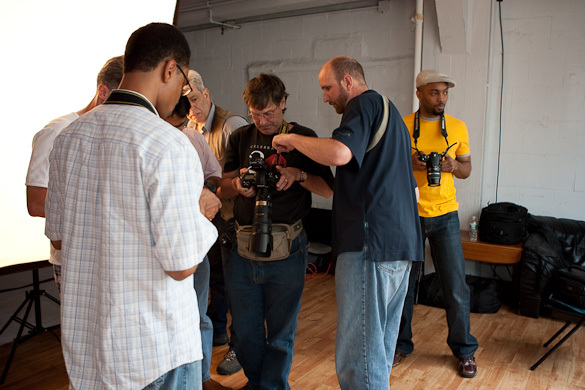 The class will focus on portrait photography. In the afternoon we’ll be joined by a professional model. At the end of the day you’ll have enough photos for a basic portfolio. Click here for more information about the Studio Lighting workshop. Both workshops will be held at Scene Interactive Studios in New York City. 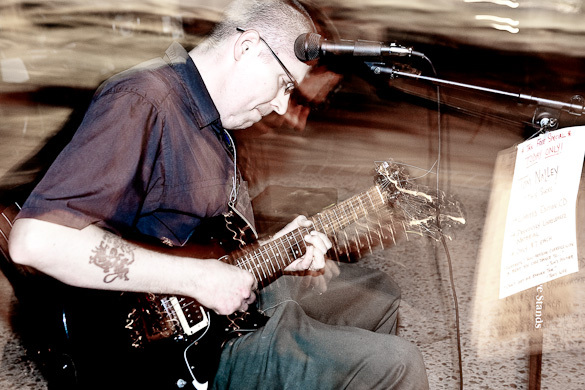 I’ll be at Maui Wowi (San Tan Village) Wednesday April 1, 2009 at 6:00pm. Come hang out! 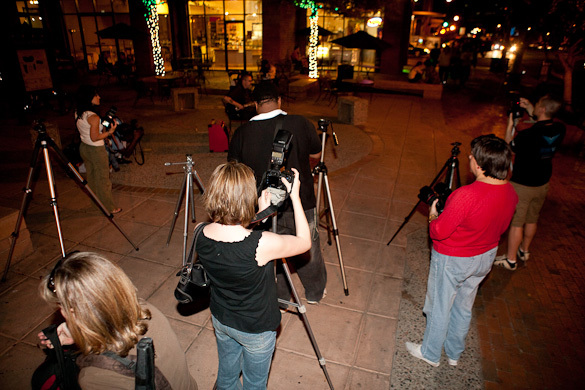 Bring your camera, flash, tripod, or just a smile. We’ll be meeting fellow photographers for a couple hours of fun. There is no agenda other than meeting other photographers and taking a walk around San Tan Village with our cameras. 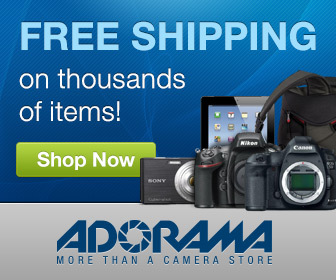 This is the perfect time to practice your photography. You can get help from me or other photographers who are there. The cost? Just buy a coffee and you’re good to go. I hope to see you there! Yesterday I taught another session of my on-camera flash workshop. We had a blast. Here are a few photos of the field trip that immediately follows the workshop. Before the sun went down we all went outside to experiment with high speed shutter sync. The sun was getting low in the sky so students shot into the sun and away from the sun to see the different effects the ambient light had on the image. 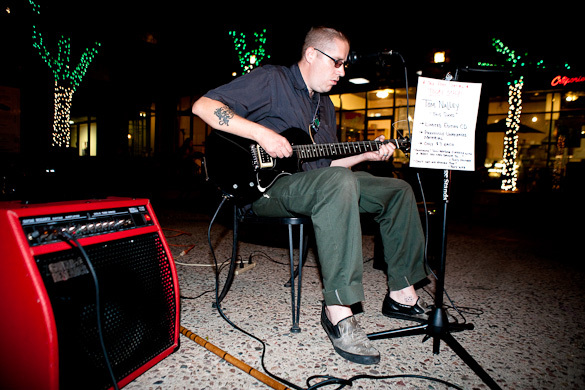 After we grabbed something to eat we headed out to Mill Avenue in Tempe for some fun practicing. Here students are taking photos of Melanie, a friend of one of our students. Students were able to practice balancing ambient light with the light from their flash. We also played with color correcting gels to illustrate how to fix color temperature problems. The lovely Melanie. I didn’t plan on having a model during the field trip so it was a bonus when Melanie joined us. She’s an actress by trade but was willing to pose for a few shots during the outing. Thank you so much Melanie! After shooting with Melanie we headed down the street and found Tom Nalley about to begin his one man show. He agreed to let us photograph him during a few of his songs. This dude was a terrific musician. Unfortunately he doesn’t have a website. I’ll try to find more information about him because his music was really great. A few students taking shots of Tom Nalley. With all of our flashes firing people started to gather to see what was happening. We continued to shoot until Tom had a bit of a crowd and then we quietly made our exit. We wanted to make sure our workshop didn’t ruin a night of work for Tom. Here’s one of my shots of Tom. I was showing students how to use rear curtain shutter sync to get some interesting effects. Tom was very energetic and I wanted to capture some of that movement in my photo. 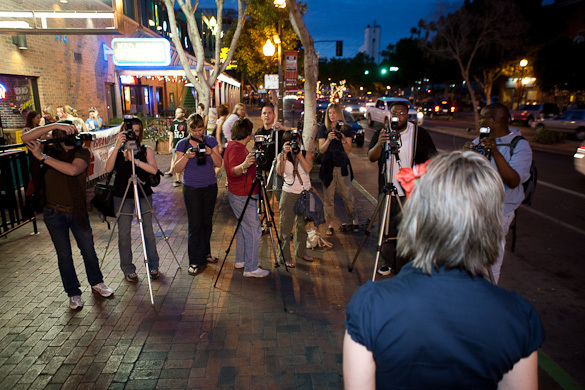 Our next on-camera flash workshop is Saturday, April 25. I hope you can join us. On June 20-21, 2009 at Loft19 Studios we’ll be hosting a two day studio lighting extravaganza. The dates have been set, the details are in the works, but we have enough put together to give you the heads up. Loft19 is a huge 7,000 sq ft studio and we plan to fill it with numerous lighting setups for you to use. We’ll have different lighting “stations” preset for fashion, portrait, glamour, and other lighting styles. Each station will have a lighting coach to help you as you shoot. We’ll also have models at each station. In addition to the lighting stations we’ll be offering a morning workshop for those who are brand new to studio lighting. This is the exact same session you’d get if you attend our Studio Lighting 101 workshop. But wait, that’s not all! We’re also offering a photo review session after all the shooting is finished. If you’d like a professional to review your photos and give you an honest critique this is the place. We’ve created a pricing structure to keep the workshop as affordable as possible. You can shoot for two days for just $200. If you want more than just the shooting experience it’s a bit more. 8:30-12:00am Morning workshops (Studio lighting 101, others TBA). We’re working out the final details for the morning sessions and the lighting setups we’ll offer. We should have all the details nailed down early next week. We’ll let you know soon! It’s been a very busy couple of weeks for me. Unfortunately it’s been so busy I’ve neglected the blog for a bit. So what’s been keeping me so busy? Here’s a quick recap. I taught my Studio Lighting 101 workshop on February 21st to a sell-out crowd. We had a blast shooting and learning all about light. We have another workshop coming up April 11th. 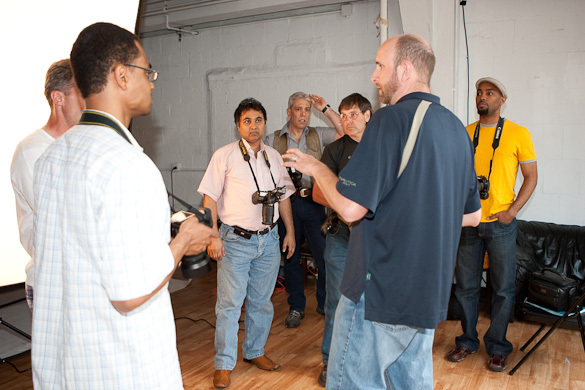 The next weekend I taught my On-Camera Flash workshop. We had another sell-out crowd. 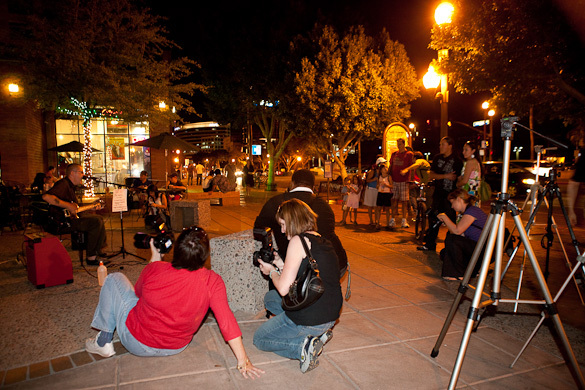 Students practice balancing ambient light with their flash. 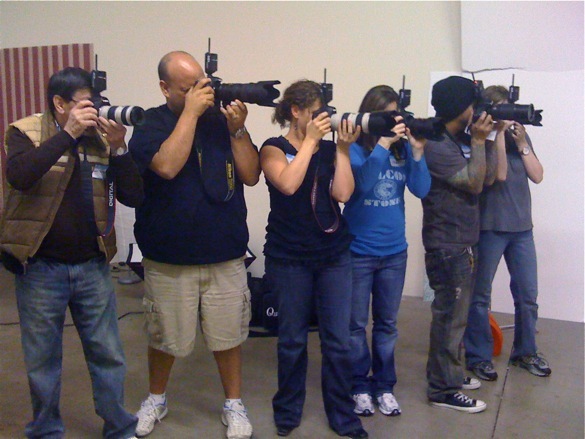 Students take a quick break during the on-camera flash workshop. 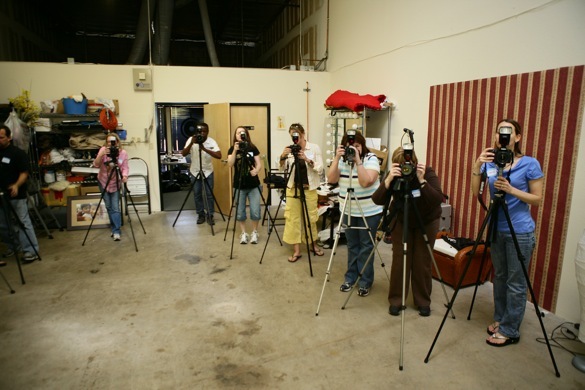 During the week I was also teaching my 8-week Digital Photography 101 workshop. Yep, lots of teaching this month. Lots of fun. I’ve also been busy working on a few on-going projects. I’ve been editing new episodes of our Twitter Interactive shoot, the next episode will go live soon. 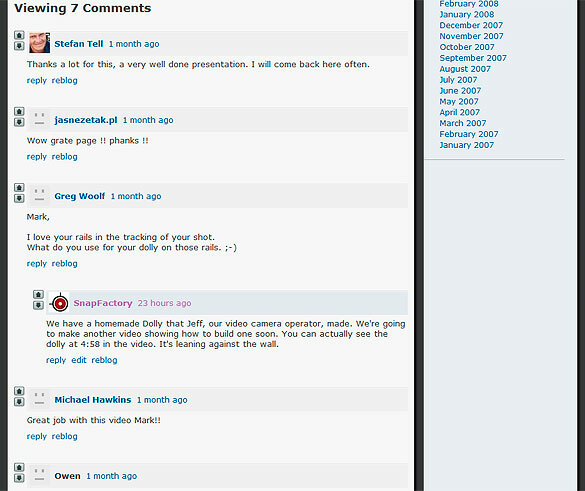 I’ve also spent a good amount of time working on the Digital Photography 101 DVD series. The pre-production is a lot of work and I’m making solid progress. I want to get them out as soon as possible but I also want to make sure they are outstanding quality. Thanks for your patience. I’ve also got a brand new Studio Lighting conference in the works. I’ve been working closely with Loft19 studios to create an all new studio lighting training experience for beginning and advanced photographers alike. I’ll be hammering out details this week and posting details as soon as I can. And, finally, I’ve been working to put everything in place for a bikini promotional shoot. I’ll be shooting images for billboards, banners, and catalogs. Of course we’ll be tweeting the shoot. If you’re on Twitter please follow along. March 14, 9:00-5:00 PST.